Below is a selection of our pre-owned (used) Bikes - We pride ourselves on the quality of our used bikes - All are serviced and have 30 days warranty unless stated - stock is changing all the time so please contact us to check we still have the bike you are interested in if you are thinking of paying us a visit!! Year quoted is model year of bike and condition rating takes account of age, use and general appearance. Click on the images to see a larger image, use the browser "back" button to return to this page. 2018 250 EXC-F ISDE Spain Limited edition model, with all six day extras billet triple clamps, front axle pull, brush guards, plastic engine guard, stealth sprocket, gripper seat, fan kit and carbon exhaust guard, almost as new. Much sought after bike. Call us on 0115 973 2466. 2014 KTM 350 SXF motorcross model thats in very good condition and fitted with Blackbird graphics kit and seat cover, Renthal handlebars, new grips, new aftermarket slider kit, rear brake reservoir extender. Very little use Call us on 0115 973 2466. Beta 300 RR 2T 2019 N/A Brand New 2019 Model 300 Two-stroke Enduro model. Beta RR Enduro model won the 2018 Enduro World Championship so Red is the new orange ! Full spec with full parts & warranty backup. call in and see the latest model. Save £1,000 over the cost of a similar spec KTM 2019 EXC Model. Other 2T models 250 RR £6,795. 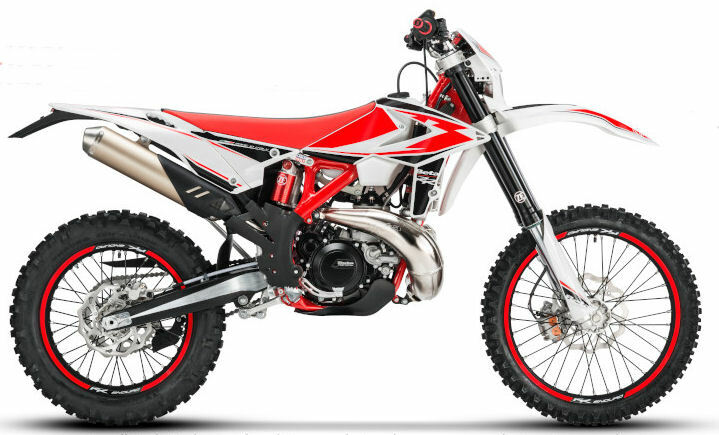 Beta 350 RR 4T 2019 N/A Brand New 2019 Model 350 Four-stroke Enduro model. Beta RR Enduro model won the 2018 Enduro World Championship so Red is the new orange ! Full spec with full parts & warranty backup. call in and see the latest model. Save £1,350 over the cost of a similar spec KTM 2019 EXC Model. Montesa 315R 2004 N/A Montesa Two-stroke Trials model which is made by Honda, this excellent example is the last of this model and very sought after, in fact an affordable future classic! Fitted with RFX footrests, Carbon tank cover, uprated rear brake lever, new chain, good tyres and wheel rim decals Call us on 0115 973 2466.